How Do Wolves Mate and Reproduce? Wolves reproduce when a male copulates with a female by mounting her; she later gives birth to a litter. Wolves live in packs and within a pack, and breeding only occurs between the alpha male and alpha female within a wolf pack. On average, a wolf pack will give birth to only one litter in a year. Wolves usually become capable of breeding at the age of 1 to 2 years old. It is at this stage when wolves leave the wolf packs where they were born to start building their own packs or to join other packs. 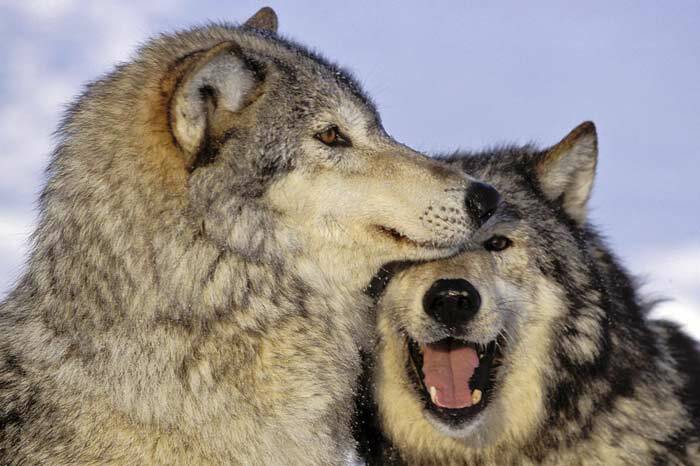 Wolves are believed to be capable of mating and breeding for their entire lives. The mating season for most species of wolves occur between January and March. After a successful mating season, female wolves will give birth to a litter of wolf pups after a 63-day gestation period. The average size of a wolf litter is between four to six pups.